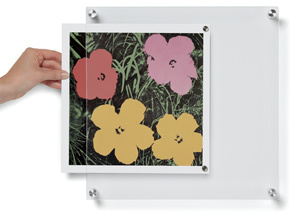 Wexel Art Single Panel Display Frames create a clear border to immediately draw the eye to what’s being displayed. Every Single Panel frame includes a panel of polished acrylic, four wall mounts, and a hanging template. Lifetime warranty. This frame fits artwork up to 12" × 12" in size.